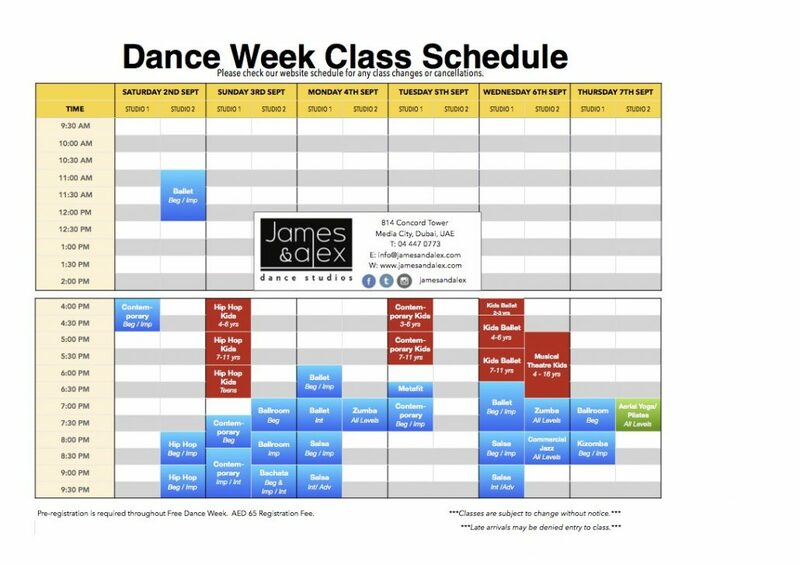 The long awaited James & Alex Dance Week is here! Join us from 2nd-7th September and try out something different. For only AED 65 registration fee, enjoy a selection of incredible dance classes for the entire week. Why not bring a friend and discover new experiences through dance?! If you get the error that your email already exists in the system, please use the forgot password form to set a password.